GoXtra News: The FEATHER AWARDS Nominees Announced! The FEATHER AWARDS Nominees Announced! 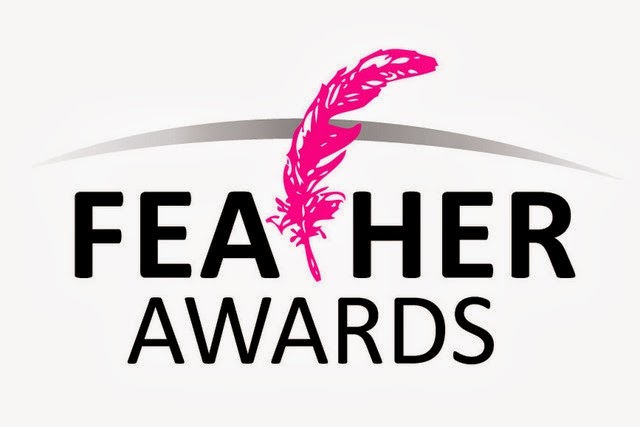 It’s been 5 years, and the Feather Awards are ALL grown up – well, as grown up as the country’s cheekiest, most irreverent and unapologetically fabulous awards ceremony can be! In a nod to this critical landmark, the event theme this year is Haute Couture. Launched to great fanfare in 2009 as an out, loud and proud celebration of individuals that the gay and lesbian community find inspirational, scandalous, or just plain hilarious, the Feather Awards is an event that celebrates the lighter side of life, while paying tribute to a range of deserving personalities. With wacky categories such as Drama Queen of the Year, Fag Hag of the Year, and Socialite of the Year, coupled with more conventional awards for ‘Role Model of the Year and Musician of the Year, the Feather Awards have always kept it real. The event has always gotten people talking, and the 2013 edition will be no exception to this rule. Certainly, the nominee list for the event’s 5th anniversary will be sure to get people gasping in shock, nodding in appreciation, and giggling in amusement at who has made the honor-roll for the various categories. There’s also been a return of familiar faces this year, with motor company General Motors returning as event and vehicle sponsor. Jewelers Lichaba Creations is on board as a new partner, adding an exciting new ‘bling’ element to the ceremony – the Feathers committee has redesigned the awards trophy, and Lichaba Creations is adding a 0.836 carat diamond to each one! Additionally, the Film and Publications Board has also joined the Feather Awards family as a sponsor, bringing the event’s partner count up even further. An exciting development in this year’s ceremony is a new category, in recognition of media bodies that have made outstanding contributions in depicting honest and positive representations of the gay and lesbian community. The Media Award of the Year, pays homage to three new nominees this year – TV drama programmes Intersexions, After 9 and online publication Mamba Online. Besides that, a host of new personalities will find themselves in the spotlight this year as nominees for the event – as always, the Drama Queen of the Year is sure to elicit great interest, while the Hunk of the Year features some of the entertainment industry’s most sizzling personalities. Diva extraordinaire has a particularly political slant this year, while Sports Personality of the Year plays host to some incredibly inspiring South Africans. The Feathers Awards ceremony will be held in Johannesburg on November 14th, and promises to deliver all the glamour, drama, and star-power that it’s become so well known for. Hunk of the Year – These men just ooze the X-factor, you look at them and just want a strong hug. Diva Extraordinaire of the Year – These women are who always carry themselves well - they have a strong presence. Cutest Couple – these are couples that people adore and look up to. Media Award of the Year. Fag hag of the Year – Need we say more, they never leave their home without their favorite accessories, a gay friend. Musician of the Year – musician we love to listen to, on and off stage. Socialite of the Year – Seen at every opening of an envelope or erection of a Stop sign. Drama Queen of the Year – These are personalities we read about every Sunday over breakfast, their lives revolve around dramatic behaviors and situations.